Some of the finest writers in Ireland have come together to pen an anthology of poetry, prose and non-fiction in aid of the Dublin Simon Community. 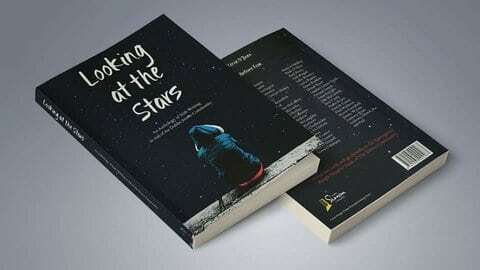 The book, entitled ‘Looking at the Stars’ was edited by Kerrie O’Brien and Alice Kinsella and all of the proceeds will go to the Dublin Simon Communityim of raising €15,000 for the Dublin Simon Community’s Rough Sleeper Team. 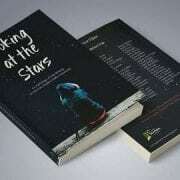 ‘Looking at the Stars’ is a limited edition anthology with only 1,000 copies available and some of the contributors in the book include: Sinéad Gleeson, Rick O’Shea, Claire Hennessy and Arther Broomfield. See the rest of the contributors by clicking here. The book has been funded entirely by The Munster Literature Centre, Dublin UNESCO City of Literature, Poetry Ireland and The Irish Writers’ Centre. ‘Looking at the Stars’ is available to purchase from Dubray Books, Books Upstairs and The Gutter Bookshop for €15.00 with all of the proceeds going to the Dublin Simon Community’s Rough Sleeper Team. You can find out more about the services provided by the Rough Sleeper Team here.